In yoga foundation is everything. In regards to the physical practice of yoga (asana) this is taken quite literally. Without proper alignment and a solid base many poses are rather unattainable and can sometimes lead to injury. The great thing is that our bodies are our best teachers, and will let you know if you are doing something in a way that suits you! 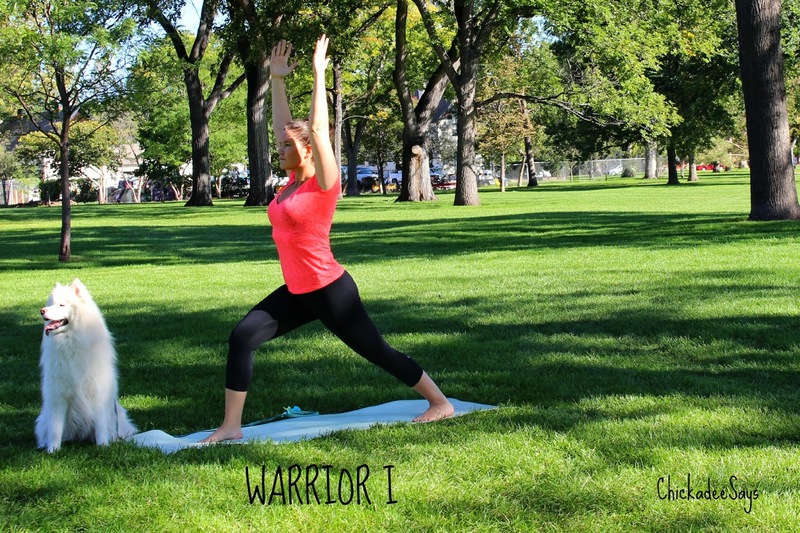 To help along that process, I thought that I would kick off my yoga posts with five foundational poses from which you can move into any other pose! But do keep in mind that my practice is just that, a practice, and is far from perfect. Yoga for me is all about fun anyway! The very basics: hands and feet! I had always thought that hands and feet were one point of balance each. However, according to one of my amazing instructors in my yoga teacher training, I was thinking about it all wrong. And I was. Four hours and one very exhausted body later, I had changed my whole perspective on balance. The easiest way to explain this is to look at our feet, our base. Instead of thinking of each foot as one point of balance think of them as fourteen! When we mindfully place a foot down we want to make sure that all four corners of the base are firmly planted. When you are standing, pick your toes up off the floor. Feel four points of balance- either side of your heel, the point at the beginning of your arch and the outer mound directly across. Now, place your toes down. Can you feel each toe mound? Each toe? There’s ten more points of balance! So instead of thinking of balancing on one ‘foot’ think of balancing on fourteen points instead. That is why it is so important to keep all of your foot on the ground! The same goes with hands. One common mistake I see, especially in downward dog is ‘tented hands’ if you focus on keeping each point on your hands grounded (especially your pointer finger mound!) you will feel more stable! This is the fundamental standing pose. I like to start with my legs slightly less than hip distance apart (many teach this having your big toe mounds touching, I believe it is personal preference), feet facing forward and parallel. The easiest way to make sure your feet are parallel is to check that your second toes face directly forward. Now as we work up the body, hug your muscles into your midline (the imaginary line that starts at the crown of your head and ends on the floor). You can pull the tops of your thighs back and balance that with lengthening your tailbone down towards the floor. Pull your shoulders back and your neck straight, opening the heart, and align the crown of your head directly over the center of your body. 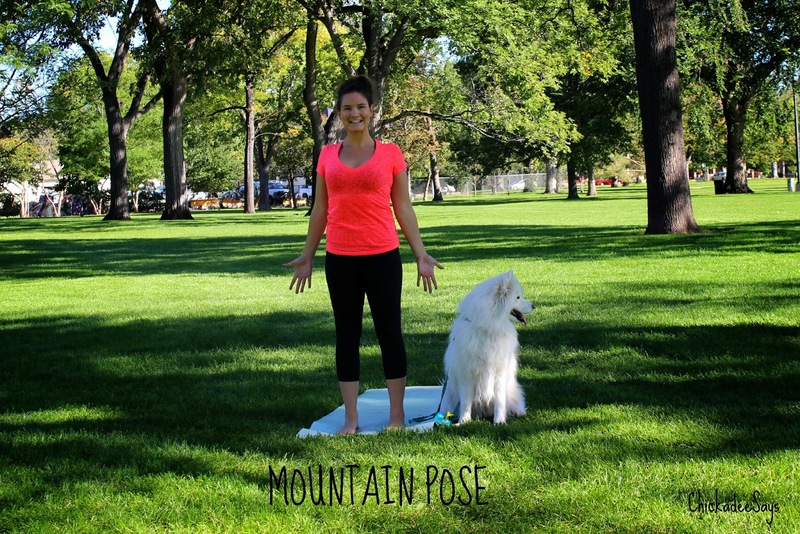 Lots of little adjustments to your normal standing position make this a very stable pose! Start in mountain pose. Step one foot one stride forward. Turn the heel of the opposite foot slightly angled so it faces the top corner of your mat. Your feet should be on “railroad tracks” meaning that they are still hip distance apart instead of in line with each other. Bend your front knee to 90 degrees so your thigh is parallel with the floor, making sure your knee does not extend over the ankle. You want a “stacked” feeling, knee over ankle. I’ve showed a slight variation where my thigh is not parallel with the floor. Depending on your flexibility you might not be able to get that 90-degree angle, if that is the case focus on your base, feet, and leg position! Extend your arms over your head, making sure to keep both hips squared forward. Start in mountain pose. Facing a long side of your mat, step your feet wide, feet parallel. Turn your front leg out so that the side of your thigh faces the long side of your mat, your foot should follow facing directly forward. Turn your back foot slightly forward and align the heel of your front foot with the arch of your back foot I call these ‘tightrope’ feet. Extend your arms out to your sides parallel with the floor, keeping your shoulders back. Bend your front knee to 90 degrees, stacking knee over ankle, thigh parallel to the floor. Your hips should be squared to the long side of your mat. Sit on your mat with your legs extended in front of you, toes facing up. Rotate your legs inward to widen your sitting bones; it might be helpful to use your hands to manually rotate your thigh muscles in and your hip out. Sit up straight and raise your arms in line with your body, creating an L shape! Position yourself on your mat on your hands and knees. Your elbows and wrists should be in line directly under your shoulders. Line the creases of your wrists so that they are parallel with the front edge of your mat. Focus on your hands. Making sure that they are firmly planted and not ‘tented.’ Walk your knees back so that they are slightly behind your hips, then turn your feet under so they are planted on the floor. Your heels may or may not touch, but either way, focus on grounding them towards the earth. 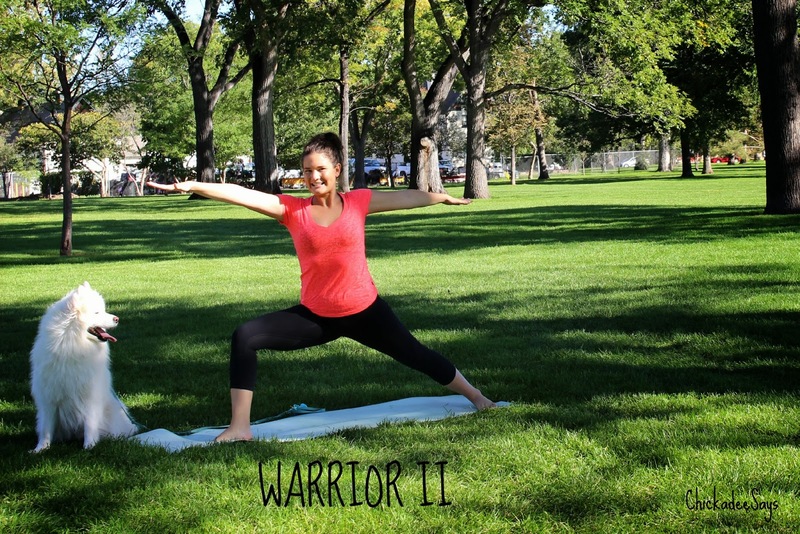 Start lifting your knees off the floor, keeping them slightly bent. Straighten your arms, pulling your shoulder blades together on the center of your back, opening your chest. Lengthen your tailbone towards the ceiling, and press your thighs back, straightening your legs. 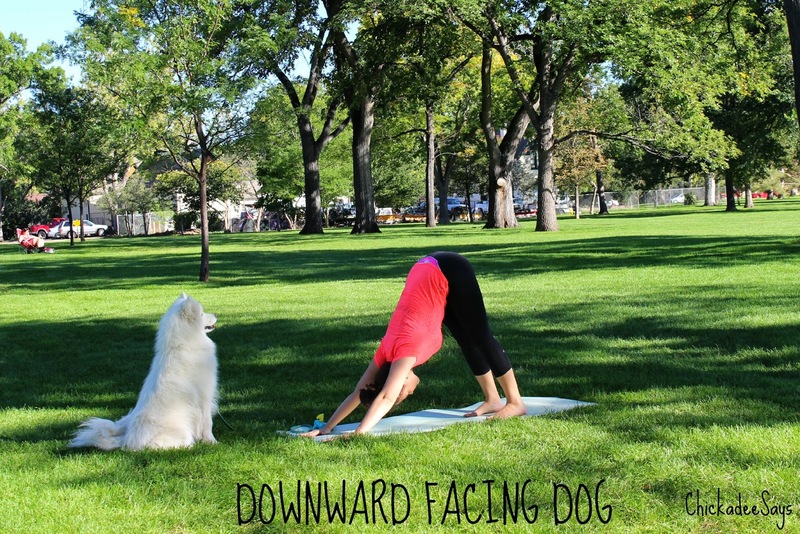 I love downward dog because every time you come up into the pose it is different, feels different, and of course, it is a fabulous stretch! I know the explanations of these poses were rather long winded but I firmly believe that if you have a great base you can transition into other asanas with ease! Also, I promise that future posts won’t be so very wordy! Was this post too technical? I’m totally open to constructive criticism; so let me know what you thought in the comments below! Also, have a request for a future yoga post? Let me know in the comments!